Who would have thought I’d travel to Finland in November….? Certainly not me. So far, my only visits to Scandinavia have been trips to Denmark when I was a kid and three holidays in Sweden, but I never made it to Norway or Finland. 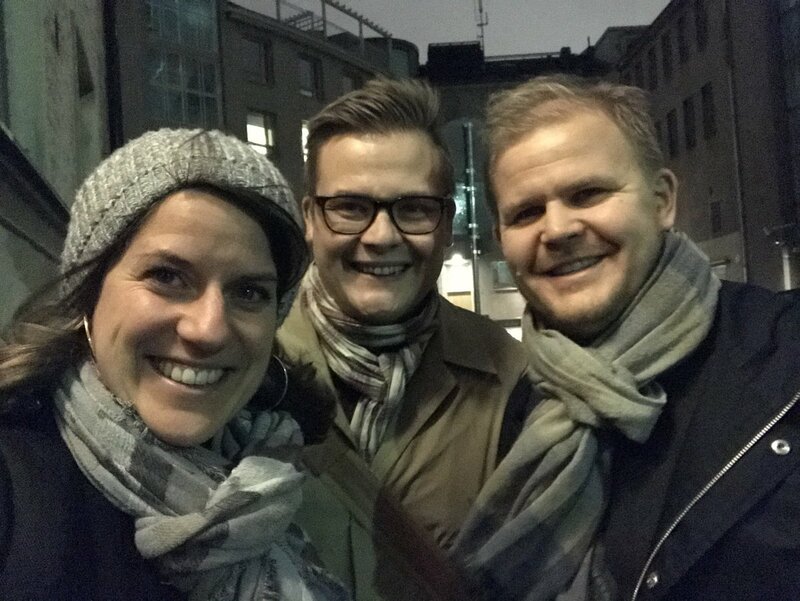 So I couldn’t pass up the chance to go on a business trip to Helsinki to visit our local partner, Big Data Solutions and present at the Tableau User Group as well as run a #MakeoverMonday live session there. When I travel, I want to be a traveller, not just a tourist. I want to walk around in awe of the different sights, sounds, smells and soak up the vibe of the city. I’m not that big a fan of checking off lists of famous sites, monuments and places when I can, instead, sit at a local cafe, listen to people speaking in a language I don’t understand, watching them go about their day and get an idea of what life is like there. With only 34 hours in Helsinki, I had my work cut out for me. Arriving late on Wednesday night, I made it to my hotel around midnight. People were really kind, polite and courteous in their spoken language as well as their manners. I felt welcomed without needing to have much conversation. One thing I noticed is how ‘open’ and friendly people’s faces were. I don’t quite know how to describe it, but people certainly look different to Germans or other central Europeans (broad generalisation, but stay with me here). The facial features are more ‘open’, less furrowed, clearer, lighter. It makes people seem very trustworthy. I like that. I was prepared for cold weather and the wind certainly gave me the chills. Thankfully my hotel room was nicely heated and I finally got some sleep around 1am until I woke up again at 6.30am to start the day with a run. While it wasn’t raining, there was drizzle, it was cold, dark and windy. Running on day 1 is what I do whenever possible. It gives me a chance to get a feel for the city, see something, shake out the legs and start the day with a burst of energy. Less than 6 hours of sleep is certainly not the ideal basis, but you don’t always get to choose, so I headed out for a 45min jog around the city, taking in a few stops along the way. After the run it was time for breakfast, emails, phone calls and a skype call with my team back home, before heading into the city for meetings. On my way to my lunch meeting I couldn’t pass on the chance to treated myself to two scoops of vegan gelato, because I could and it was glorious! Lunch was good and the discussion productive and then it was time to make our way to the Tableau User Group for my talk on Exasol & Tableau Server as well as #MakeoverMonday live. In June I had the pleasure of working with Montana von Fliss who instilled a lot of confidence in me and guided me to develop a better presentation style. Since then I’ve really enjoyed doing presentations and giving talks. The preparation is still my not-so-favorite part, but getting on stage and talking about stuff I’m passionate about is certainly fun, so I’m glad I had another chance. I even faced my fears, got over the uncomfortable awkwardness (all in my head) and mustered all my courage to introduce myself (very briefly) in Finnish. And I got applause for it :-). After my Exasol talk and live demo it was MakeoverMonday time, which gave attendees a chance to do some hands-on Tableau work and they only had 43min. Great presentations showed how much can be done in such a short amount of time, especially as people teamed up and worked collaboratively. It was very fun to watch. And then Terho and Eerik took me to Farang, a Michelin awarded restaurant serving modern Asian cuisine. And the best part? A 7-course vegan degustation menu. And it was fabulous! So at the end of the evening, I was full, happy, and just a bit tired. I had seen as much of this city as I could, had eaten delicious food, met kind, interesting and welcoming people and now have another place I want to return to with a bit more time (and in summer). We took a selfie, of course, before I headed back to the hotel to finish some work, and to write this blog. Tomorrow morning I’m off to Stockholm and I can’t wait what it has in store for me. I hope you enjoyed finally reading something other than Makeover Monday blogs. It was a long time since the last ‘real life’ post, but real life just got really busy and a bit overwhelming and there wasn’t any time for deep and meaningful writing. So here you are and stay tuned for Stockholm. I love reading about your adventures! And gelato, even for breakfast, is a perfectly acceptable choice. Have a great time in Stockholm!